I have been working with gin for many years doing gin tastings and seminars, and for the past four years I have worked as an accredited gin judge in international spirit competitions. Having tasted many hundred gins I found that the spectrum was pretty narrow (stereotype) even if we have seen many good new products coming up recently with new and exciting botanicals. So I felt that it could be a challenge to create a gin that drew the extents of the London Gin predicate to the limits. I had been thinking about Geranium for a long time (the smell from the leaves is almost like a gin and tonic itself) and geranium has been used for centuries for healing purposes (against depression, fatique and more) and chefs uses it for purifying the air in the kitchen and for flavouring food. So the history and the usage was very similar to juniper, and when we made the chemical analysis we found that the significant oils in geranium (geraniol, geraniol formate, linalol, rose oxide, citronelol) was present in most fruits, vegetables and spices, and in a reverse way, geranium is being used together with the main ingredients in gin (juniper, lemon, coriander, angelica) in the therapeutic world. 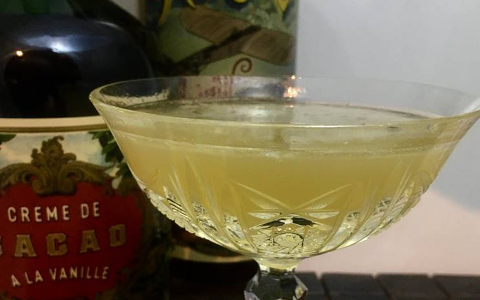 So geranium did a theoretic good match with both gin and wide variety of the mixers that bartenders uses today to make new and exciting cocktails. The challenge was now to get the oils out of the geranium by distilling it in alcohol (normally the oils are extracted by vapour/steam pressure) to be able to end up with a London Gin. Fortunately my father was a chemist, having worked with essential oils for the perfume and food industry in decades, and we bought a 5 liter copper pot still, and we set up a minilab in his house and began to experiment with the botanical. After a few weeks we managed to find out how the geranium should be processed, matured and distilled to get the oils out that we needed. "London Gin" type at 44% ABV. The ingredients are matured for 48 hours and then distilled in a 100 year old copper pot still called "Constance". Distilled at "Langley Distillery" in Birmingham - a 200 year old family owned gin distillery. "Langley" is the 3rd biggest gin distillery in the UK ("G.J. Greenalls" is no. 1 and "Beefeater" no. 2). 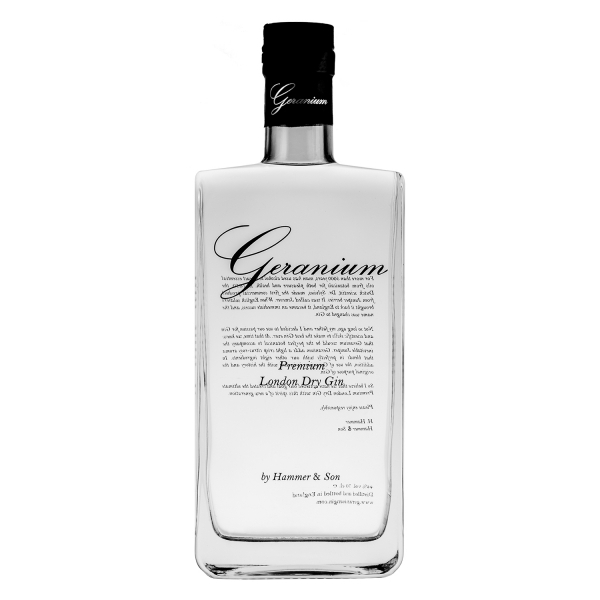 "Geranium Gin" is bottled and held in stock in London. The oils from the geranium are present in most fruits, vegetables, berries and spices why Geranium Gin blends in well with most mixers. Also geranium is being used in therapy along with juniper, coriander, angelica and citrus oils against depression and fatigue. The predominant oils in geranium are: "linalol", "geraniol", "geraniol formate", citronelol” and "rose oxide". Tasting notes: Classic, round, crisp, aromatic, tricky. Related links to "Geranium Gin"
Customer evaluation for "Geranium Gin"